Yesterday was historic, yet long and tiresome by the end. I am not sure if I am missing some sort of nationalistic gene, because after yesterday, I can honestly say that the honeymoon is over. "I am Obama'd-out". I am engorged on all the love people have been giving to each other about our new president and all the media coverage. A multi-million dollar celebration in the middle of our situation is like the scene from Matrix Reloaded or how the band played on during the sinking of the Titanic. I understand tradition, but he ran on a platform of change. The upstart falls in line, perhaps? Lets hope not. I understand the significance of the event and welcome his arrival, as the last 8 years have been an exercise in frustration and exasperation (at least for me). People are lauding Obama and America. People are pounding their swelled, patriotic chest. "I am proud to be an American" was a popular slogan, yesterday. I am filled with nothing but anxiousness at the future and the situation of the country & the world. I am relieved Obama is in and Bush is out, yet it is hard for me feel the need to celebrate. I blame the lack of "patriotism/nationalism gene" for my cynicial response, but I am not sure I can be quite so proud. After 230+ years, finally, ONE African-American MALE has become president. Nothing to say of the millions of other african-americans, hispanics, gays and other minority groups that have and are suffering now. One guy makes it and the whole system is now "working". This is what the "American Dream" has become : the success of a minority is lauded as a victory for the system that spawned them. If 90% of all iPods, didn't make it to the store for one reason or another, would you consider that a successful product? America is very much a work in progress that sadly still leans in favor of inequality. 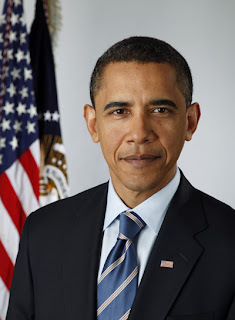 I voted for Barack Obama, but that doesn't mean I stopped forgetting what he is... a politician. He is no mere politican, but the "messianic president" who will save all of us. I am not sure too many people heard that part about what "each of us has to do". During my lifetime, I have lived through the policies of 4 other presidents, with much less on their plate than this. All their speeches dealt with the future, protection, prosperity and living up to the ideal of our founders. In practice, I have yet to see most follow through with the ideals. The ideals are usually the first thing to get thrown to the pragmatic curb. I fear that people's expectations and their developed decadence will result in a situation where Barack will have to perform miracles, mostly on his own, to attempt to keep it all together.